Samsung may have only just got the Galaxy S4 out the door, and recently we’ve seen leaks of the Galaxy S4 mini, but it seems that the company has more new toys to show us after invites went out for a ‘Samsung Premiere 2013 event.’ More details can be found right after the jump. 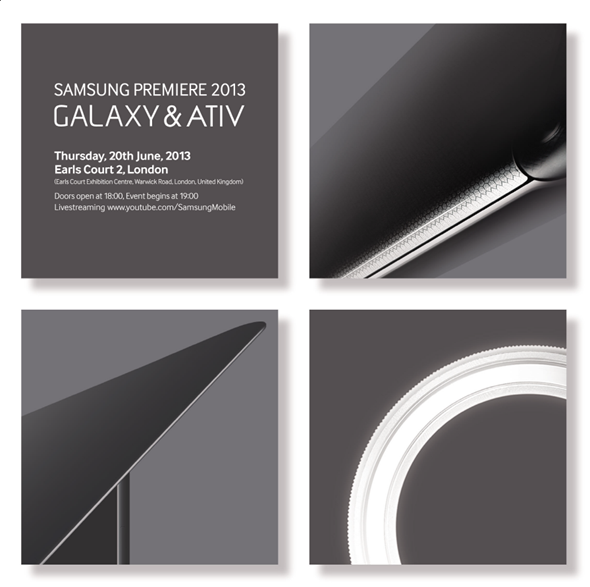 To be held at London’s Earls Court 2 on June 20th, the event’s invitations feature both the Galaxy and ATIV branding, leading us to the somewhat logical conclusion that we may be treated to a collection of devices next month, rather than just one. Whilst the Galaxy brand needs no introduction, the ATIV name isn’t quite as well known by most, partly due to it being considerably younger. For the uninitiated, ATIV is Samsung’s Windows 8 and Windows Phone range of devices, suggesting that we may be in for some shiny new laptops as well as perhaps a tablet or six. We all know how Samsung likes to flood a market with their latest and greatest tech! 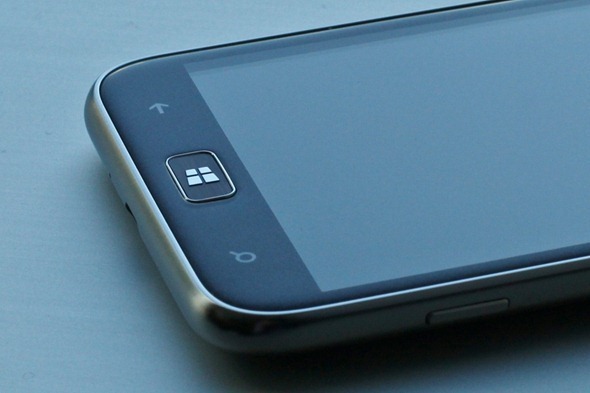 Samsung’s current Windows Phone flagship device, the ATIV S, may also receive some backup in that particular arena, though we do struggle to get excited about Microsoft’s mobile operating system at this point. Except, maybe, when it’s backed up by some extremely bright Nokia hardware that is! Samsung does continue to claim that it has big plans for the Windows phone platform, though they’ve yet to follow through on those claims. With the Galaxy brand doing so well on Android, why take focus from something that’s undoubtedly a cash cow for the company? Samsung’s event kicks off at 7pm local time on the 20th of June, so we’ll be keeping an eye out for whatever is announced. When Samsung’s involved, it’s guaranteed to be cringe worthy at the best of times. Let’s just hope that the products take our minds off it this time around. Will we see the fabled Galaxy S4 mini at this event, perhaps? After Samsung’s own web team inadvertently outed the device yesterday, we wouldn’t think it would be too long before the handset gets an official announcement. Whether it’ll be in London, well, we’ll find out soon enough and we’ll definitely let you guys in on Samsung’s plans as soon as they’re revealed.